Proud to serve the city of Thousand Oaks, Wilshire Refrigeration & Appliance, Inc. is an authorized repair company for in-warranty and out-of-warranty appliances from Sub-Zero, Wolf, and Cove. We bring four decades of experience to serving every customer, accommodating their schedule, and addressing any problem to repair appliances and restore their usability. Thousand Oaks, the second-largest city in Ventura County, is about 40 miles northwest of Downtown Los Angeles. The city’s name comes from the abundance of oak trees in the area. 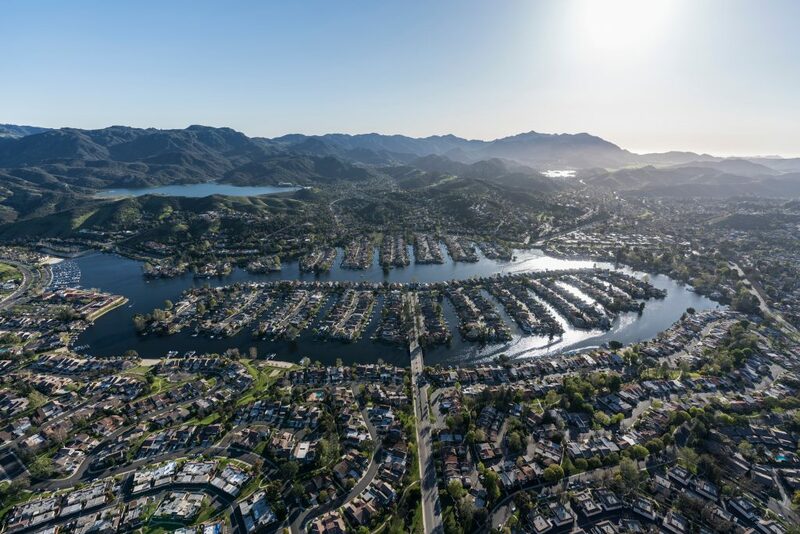 Incorporated in 1964, it has expanded to include parts of Newbury Park and Westlake Village. As of 2015, the population is estimated to be over 129,000. Wolf Range Repair/Maintenance – Is a burner, light, display, or door not working like it should? Call our Wolf appliance repair experts in Thousand Oaks for a complete diagnostic check so we can find what’s wrong and fix it. We can fix all gas, dual fuel, and induction ranges. Also, we can help with deep cleaning and port/burner maintenance. Wolf Microwave Repair/Maintenance – Microwaves contain many parts that can require repairs. Fans, vents, lights, turntables, and buttons can fail, but our Wolf repair experts can determine why they don’t work, or why the unit is not heating right or shutting off prematurely. Wolf Oven Repair/Maintenance – You may need oven or Wolf stove repair if the burners aren’t getting enough power or food is undercooked/overcooked. A gas odor should never be ignored. Call us right away to fix the problem or address issues such as noisy ovens or doors that keep opening. Wolf Range Hood Repair/Maintenance – Did you set the unit as high as possible, but smoke is still in the air? Call in our Thousand Oaks repair technicians to assess the problem. We can also provide maintenance for a noisy range hood motor or repair faulty lights or buttons on the unit. Wolf Outdoor Grill Repair/Maintenance – There are many reasons to suspect you need Wolf grill repair. The flame may be low, or unusually yellow or orange. Smoke, flames, and uneven heating may mean you need a repair, or at the very least a maintenance call. Professional service is just a phone call away. Wolf Countertop Appliance Repair/Maintenance – We can provide Wolf Appliance repair/maintenance for toasters, blenders, multi-function cookers, and more. Whatever the appliance or problem, our technicians are trained to diagnose and fix it so you can get the most out of your kitchen. Refrigerator Repair/Maintenance – If you need Sub-Zero refrigerator repair in Thousand Oaks, our technicians can find the source of unusual noise or a leak. When your fridge starts to run too cold or too warm, we can figure out the type of Sub-Zero fridge repair you need. Call us if the refrigerator light isn’t working or the door has condensation on it, or if you want us to check refrigerant levels or other maintenance points. Freezer Repair/Maintenance – Frost in your freezer or the freezer running too warm are often signs of a problem. Whenever there’s an issue, you can depend on us for Sub-Zero freezer repair. Our technicians are trained to spot any problem, fix the issue, and even provide maintenance such as defrosting your freezer. Call us if your Cove dishwasher leaks, doesn’t get your dishes dry, or your dishes come out dirty or filled with residue. We can address the cause of bad odors from the appliance as well. Our Cove repair technicians in Thousand Oaks can also fix a dishwasher that malfunctions or don’t start. If you try a DIY fix, you can end up causing more damage, requiring more extensive, timely, and costly repairs. We have four decades of experience in appliance repair/maintenance. Our technicians are factory trained and receive continuous training. We stock factory-specified replacement parts on every truck. Test equipment is available to troubleshoot any issue. Our technicians are skilled at many repair methods. We offer same-day service for Sub-Zero, Wolf, and Cove appliances, whether they are in-warranty or out-of-warranty. Our technicians are thoroughly trained in appliance repair in Thousand Oaks (and receive continuous training) and provide maintenance as well. Dispatched to various locations, they’re ready to take the call and address your appliance problems quickly. Learn more about our General Maintenance Program online or call 800-427-3653 today to make an appointment. We’ll even accommodate your busy schedule and remind you when our technicians are scheduled to visit.